November is Prematurity Awareness Month, and World Prematurity Day is on November 17. Come and chat with us on Twitter. Raise your voice and join us in the fight for the health of all moms and babies to help give every baby a brighter future. 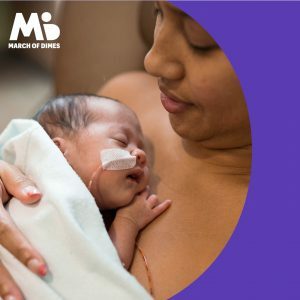 March of Dimes is a champion for families, fighting for the health of moms and babies in communities like yours and across the country. Unfortunately, the preterm birth rate is continuing to rise. While we believe that every baby deserves the best possible start, not all babies get one. Each year 15 million babies are born prematurely worldwide and more than 380,000 are born prematurely in the U.S. Premature birth and its related health problems are the main causes of infant death in the United States and around the world. This is not acceptable, and we are fighting to change it. 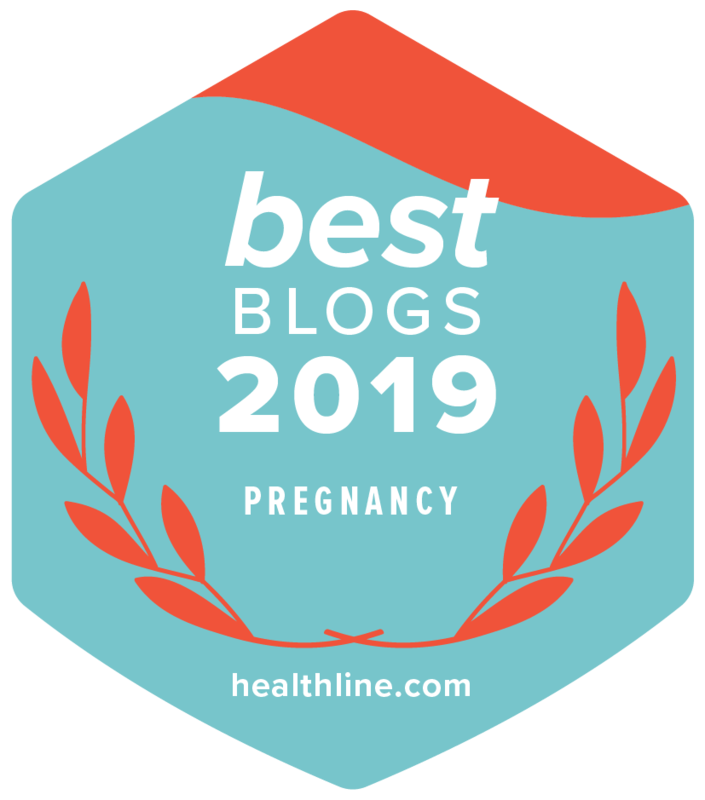 You can help families in your community and across the nation by creating awareness of the threats facing moms and babies. 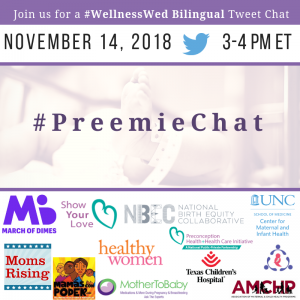 Join the #PreemieChat on November 14th at 3 pm ET for a bilingual #WellnessWed discussion. We hope to see you on Twitter!